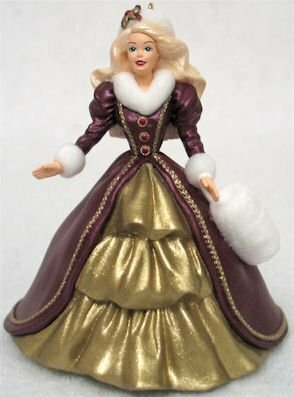 Holiday Barbie 4th in Hallmark ornament series. Barbie wearing a glamorous ensemble with a classic Victorian look. 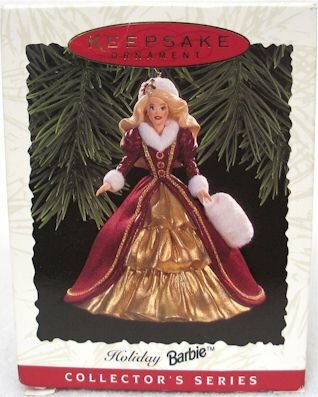 3 1/2" H.
Items Similar To "1996 Hallmark HOLIDAY BARBIE #4~ Christmas Ornament"